“I want to gather together about 20 souls and sail away from this world of war and squalor and find a little colony where there shall be no money but a sort of communism as necessaries of life go, and some real decency,” wrote the novelist D.H. Lawrence in a letter to William Hopkin in 1915. Attempts to found a perfect society are fairly common – from failed American transcendentalist projects like Brook Farm to Le Corbusier’s Chandigarh, a now-crumbling post-industrial city in India. Much rarer is the opportunity to stumble across a utopia that already thrives in its own corner of wilderness, away from the world. Its seeming impossibility is exactly what makes Arcosanti so impossible to forget. The 50-year-old experiment in collective living can be found an hour down the highway outside the arid jumble of Phoenix, Arizona. Take an exit that empties out into the middle of the desert and continue down a dirt track that vanishes into what looks like an empty plain. A rusted sign bearing the place’s alien name marks the way. Crest a hill, and here the small city unveils itself, a cluster of curvilinear concrete buildings the same colour as the loamy desert, but painted in daubs of pastel. It’s like The Jetsons crash-landed and decided to settle down. Though it looks ancient (the name derives from the Italian for ‘before things’), Arcosanti was founded in 1959 when an Italian architect named Paolo Soleri, a disciple of Frank Lloyd Wright who broke from his mentor after trying to open his own architecture school, decided to buy a parcel of barren land and bring a group of students there. The design was based on Soleri’s philosophy of ‘arcology’, a portmanteau of architecture and ecology that sought to combine the dense efficiency of cities with the sustainability of small-scale environmentalist architecture, using strategies like passive solar heating. Above all, the architect opposed suburban sprawl. “My proposition is urban implosion rather than explosion,” Soleri wrote in his 1977 work Earth’s Answer. What sets Soleri’s experiment apart from other communes, cults, or utopian attempts is that it worked. Though it never reached its stated capacity of 5,000, Arcosanti remains self-sustaining, with revenue from student workshops, 50,000 tourists annually and the sale of Wind Bells, beautiful bronze instruments designed by Soleri that are cast on site and ring out everywhere in the gentle desert breeze. 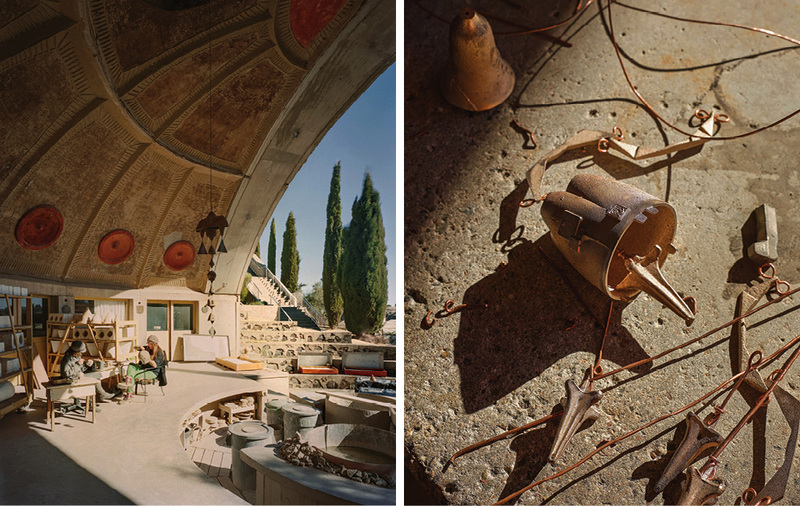 “Arcosanti has bootstrapped itself over its 45 years,” says Jeff Stein, a Boston architect and former Arconaut who became the president of the Cosanti Foundation – which manages Soleri’s home in Phoenix, as well as Arcosanti – in 2011. 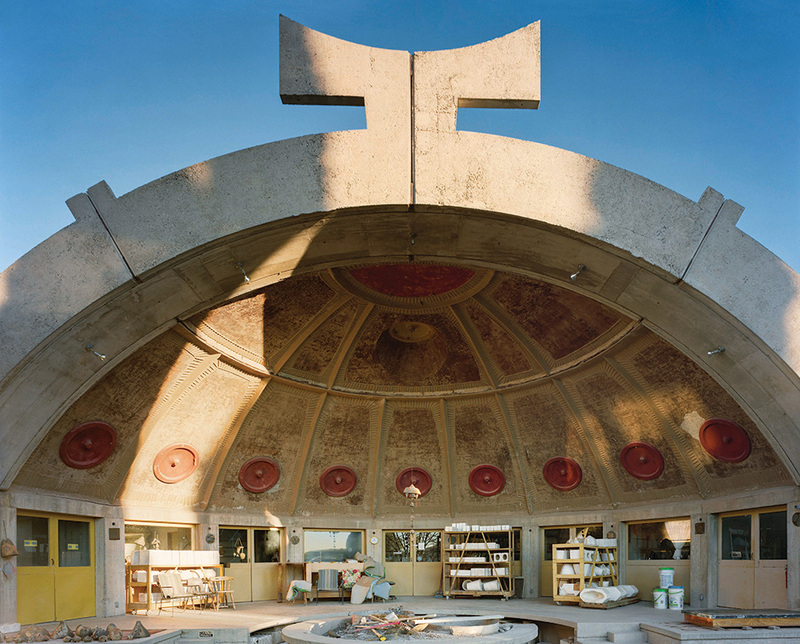 Arcosanti is less a religion than a shared pursuit of a new way of life, and the 70 Arconauts staying in the city at any one time are still actively refining their efforts, even without the help of their patron saint: Soleri passed away in 2013. A quiet stone plaque marks his grave, next to his wife Carolyn’s, a kilometre into the brush outside of Arcosanti proper. Though it began as the vision of one man, the city in the desert is now becoming a self-sustaining enterprise, more utopian than ever. Today, Arcosanti remains open to any and all comers. 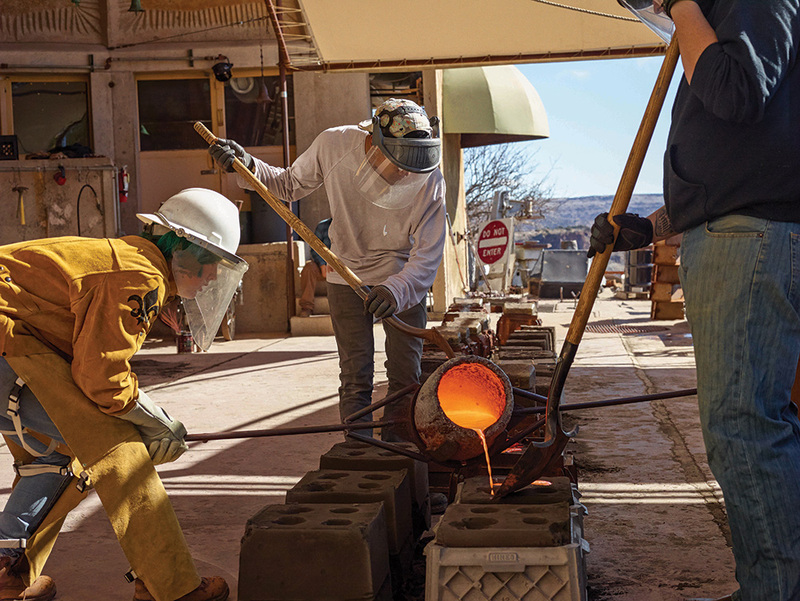 Prospective residents first complete a five-week workshop at a cost of $1,750, then graduate into an internship and finally a permanent role, like cooking in the cafe at the heart of Arcosanti, leading tours, or casting bells. The workshops are “incredibly intense, wonderful and sad. Every six weeks a whole new group of people would come in,” says Richard Fox, a gardener who first moved to Arcosanti in 1972, and then back in 1981. In the early days of the city, living was rougher than it is today. “You had to make your own place to live. I found a cave and put a pallet in,” Fox recalls. Workshoppers these days occupy cozy bohemian dorms as well as a more ramshackle camp of cubic buildings down the hill from the main site, living and working together. It’s D.H. Lawrence’s dream come true. Soleri’s buildings accomplish the trick of appearing both organic and machine-made, with soft curves decorated in angular flourishes. 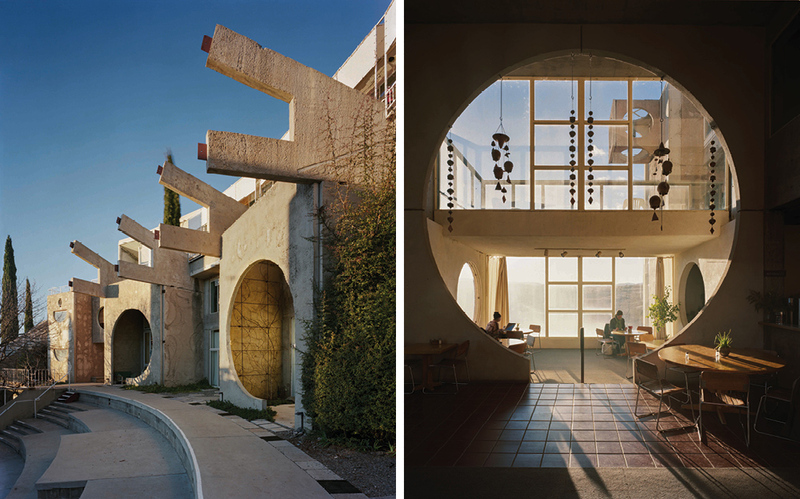 The Arcosanti residents nestle in apartments that might be mistaken for hobbit dwellings, sunk partly into the ground but generously lit by semi-circular windows (the older the resident, the grander the apartment). The breadth of the city is easily walkable, no more than 15 minutes across, meandering up and down small staircases that connect miniature plazas. On the outskirts, half-built apartments are surrounded by leftover construction equipment, as if a child had suddenly quit playing with her toys. The community feels increasingly permanent, though the residents tend toward the creative bohemian, committed to their own independence. A few residents have raised young children at Arcosanti, though there’s no formal educational system. Older families have a way of moving to Phoenix or another nearby town and then coming back on weekends to volunteer. Even so, “It’s like an extended family, being here,” says DeeAnn Morgan, a local teacher and Arcosanti tour guide. The site has a way of changing lives in a manner that architecture often aspires to, but rarely manages. “My life has never been the same. 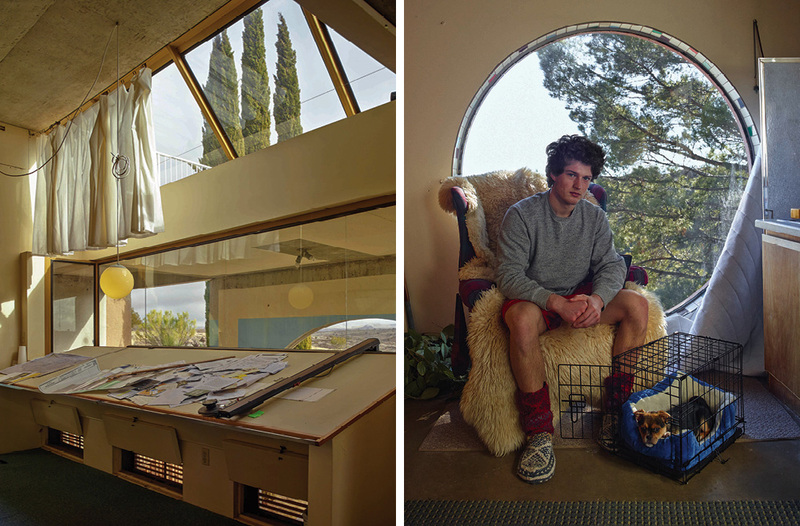 I am the person I am today because of the values I learned from Paolo Soleri,” Fox says. In an age of starchitecture, Soleri chose a different path, and it has paid off. While so many auteur buildings – Steven Holl’s Linked Hybrid, Rem Koolhaas’s CCTV Headquarters – are inert monoliths that hide rather than reveal human life, Arcosanti is a dynamic place, evolving with its residents. “There’s an inclusiveness of attitudes and ideas and voices of people who are here,” Stein says. This shared spirit will help the city find a way forward after Soleri, striking a balance between preserving his efforts and continuing new construction, which has been functionally stalled for a decade. “I’m hopeful we’ll be able to find a way to transition from the benevolent dictatorship we had with Paolo, to respect the past but make a future,” says Mary Hoadley, Arcosanti’s den mother, who has lived there since the ‘70s. The description of Soleri’s regime might sound like a critique, and in part it is. Residents often note his mercurial nature, though he is remembered with a near-religious fervour. “When he died, I was shattered,” Fox says. When I first travelled to Arcosanti, for Soleri’s memorial in late 2013, it was unclear how the group would agree on a long-term plan. In years past, the architect made every final decision. As Hoadley said, his leadership style could be dictatorial. “His personality and his vision each morning was the plan for that day,” Stein says. When alumni came together over that weekend, fights broke out over budgets and progress, as well as the residents’ lack of representation in the Cosanti Foundation as a whole. It was easy to feel pessimistic that this one-of-a-kind place could survive. But a few years later, there’s a renewed sense of freedom. Now that the project’s chief visionary has departed, its participants feel more capable of taking matters into their own hands. 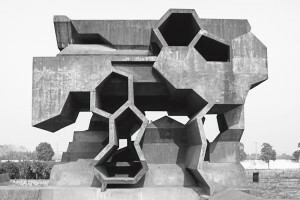 Soleri “left us sketches, thousands of pages of sketchbooks and ideas for how arcologies could be developed,” Stein says. That includes theoretical proposals for residential towers that would loom over the current Arcosanti like skyscrapers. But it wasn’t all castles in the sky. Soleri also planned for more prosaic concerns, like a hotel and conference centre. “A major part of our income comes from tourism,” Hoadley says. “We’ve needed housing for 30 years, but because of Paolo’s interests, we kept diverting.” Soleri also created an event programme called Minds for History in the late ‘80s, but a lack of residential space kept the series from growing. “We weren’t able to leverage that investment into something bigger,” Hoadley says. The city needs money to keep growing. The board of trustees is in discussions with investors to provide funding for hotel and conference projects, but new events hosted at Arcosanti are also bringing in revenue, as well as audiences. In 2014, a Florida band called Hundred Waters came across Arcosanti and felt that it was in line with their own intergalactic-hippie aesthetic. 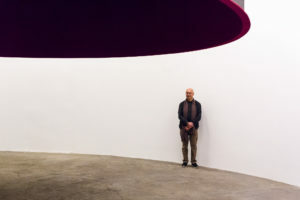 “Their music was about connecting people to each other and to place in the same way that Paolo Soleri had in mind that his architecture would do,” Jeff Stein says. 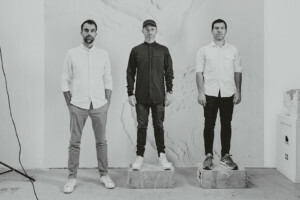 The band filmed a music video there, and then their Los Angeles label, OWSLA Records, funded a full-blown music festival called Form. Tickets to the event were free, subsidised by sponsorships from brands. But the 700 Form attendants had to apply to get in, maintaining both Arcosanti’s character and private, creative atmosphere. Coachella, it was not. 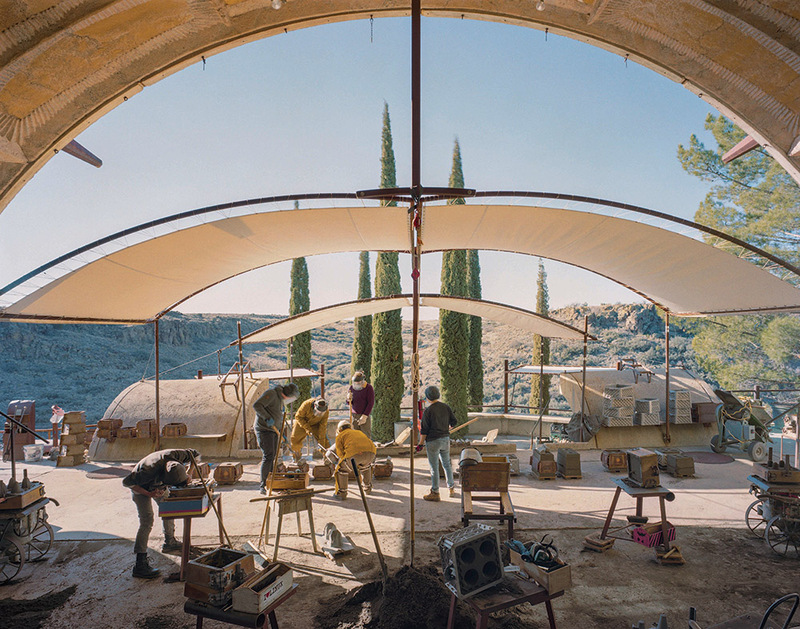 Arcosanti moves slowly, more attuned to the motion of the planets than biennials or TED Talks, but it is modernising in part by becoming more of a functional machine than an architectural improvisation. It’s the only way forward for arcology. “2019 will be the 100th anniversary of Soleri’s birth, the June summer solstice,” Jeff Stein says. “By that point, only a few years away, we look forward to at least unveiling a powerful strategic plan and very likely having begun to build some more large components of Arcosanti.” These might include the long-planned residential towers or a more advanced farming system for the site. Momentum is building as Arcosanti evolves. After a lull in the early 2000s, workshops are getting bigger every year, averaging 20 new Arconauts each session. As they arrive, the workshoppers also bring with them a new generation of tools. 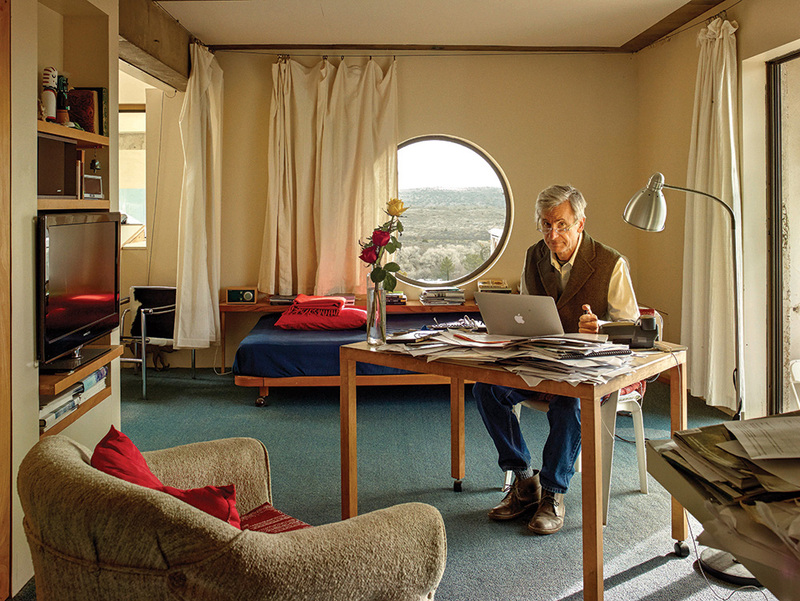 Hildemar Cruz, a geography graduate from USC, first came to Arcosanti just five days after Soleri died in 2013 and has lived there on and off ever since. 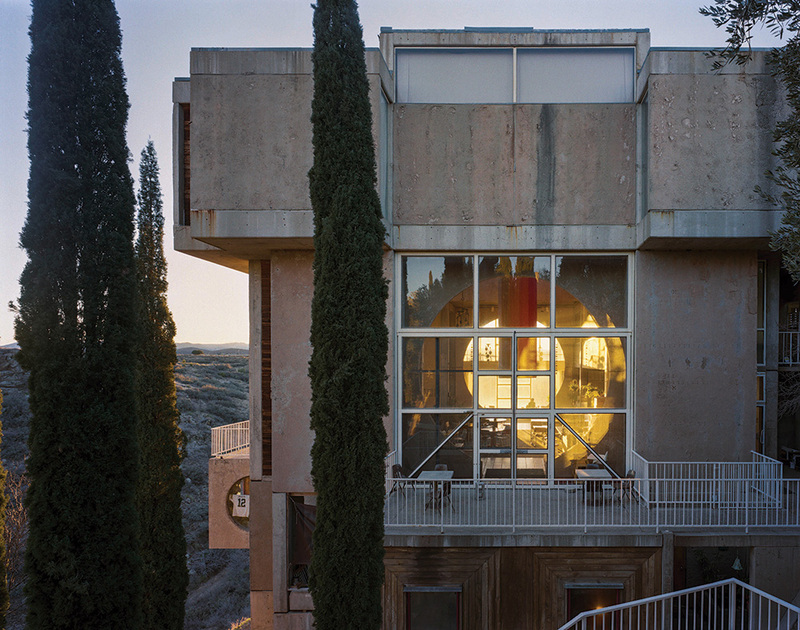 Cruz pioneered a project to put Arcosanti’s apartments on Airbnb. “This has given us such an opportunity to connect with people who never knew we were here,” she says. Still, progress can be difficult. From Soleri’s memorial in 2013, I remembered one particularly intense fight between residents, alumni and the foundation. It was over a greenhouse that was supposed to be completed years ago, but no one could quite trace where $10,000 of funding went. I ask Mary Hoadley if construction had moved forward. “We ran into lots of design and regulation issues that put a halt to the project,” she says. Much of the money was spent on research and planning, with little action. “The actual implementation of such an idea is more technically complicated and expensive than Paolo imagined,” Cruz adds. Some things about Arcosanti will never change. 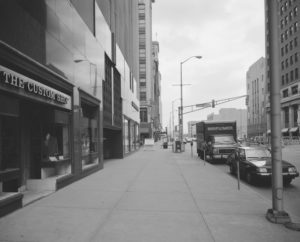 The city is a labour of love; luxury condos aren’t coming any time soon. The cypress trees that Soleri planted himself will always sway on the edge of the hill that the city perches on, looking out over the flat desert. The Wind Bells will continue to chime out. Most importantly, the Arconauts will continue arriving, drawn by the strength of Soleri’s vision and its real, physical presence, which is as charming and peaceful as any place on Earth. 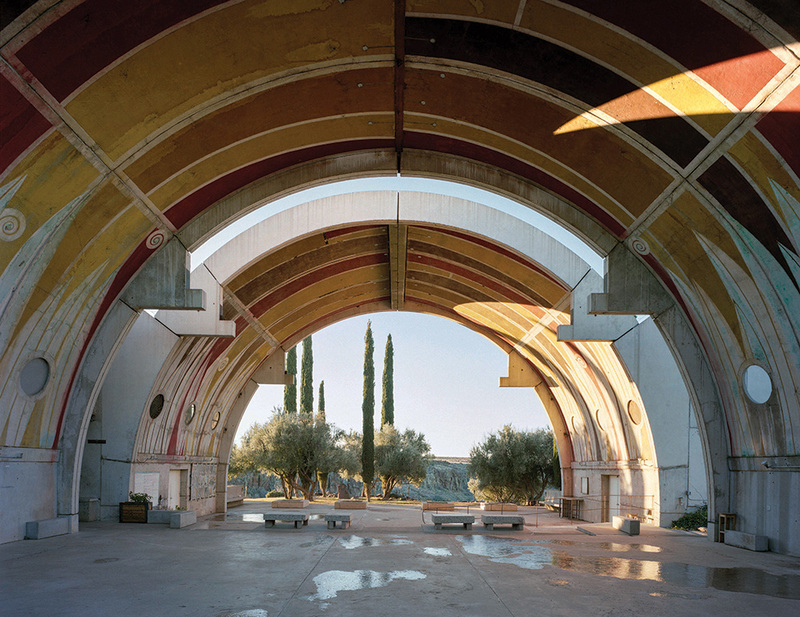 It’s easy to see what Arcosanti could become, in an ideal world. With the proper funding and support, it could grow into a city of a few thousand residents. Like Donald Judd’s Chinati Foundation in Marfa, Texas, or the international artistic community that grew around Frank Gehry’s Guggenheim Bilbao, Arcosanti has the potential to be an annual whistle stop on the art world’s global circuit, as befits a masterpiece of architecture. It’s already a foray into the future of humanity, a test site where our fate will be determined in the mounting of environmental decay. In the meantime, being at Arcosanti, one is struck by how it seems that a group of people, as D.H. Lawrence suggested, could come together and build a new world with their own hands. “I don’t think I’ll be leaving anytime soon,” Cruz says. The experiment continues. 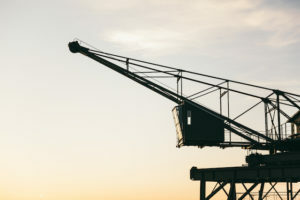 This article is taken from PORT issue 18. Click here to buy single copies or to subscribe.